As a literary agent and developmental editor for AEI Films and Books in Los Angeles, I will not only be looking for projects that can be developed into saleable commercial novels, but also mainstream Hollywood films or a potential HBO series. The Write to Publish workshop goal is simple. We wish to provide you with the knowledge, feedback, and skills necessary to set you on a realistic path to commercial novel publication. Our focus is on pragmatic writing, effective story creation, and proper market positioning for your novel, and like most Algonkian events, the work begins long before you arrive. We prep you ahead of time so we all speak the same language when the workshop begins. We also desire that your skill level and knowledge be as advanced as as possible. Please take the time necessary to review the pre-event preparation work that includes multiple assignments, readings and exercises, as well as the "Algonkian Study Guide" sample, and our workshop assignment forum. All pre-event substance is absorbed and discussed, as appropriate, within the context of each writer's novel-in-progress. We know the market is tough, and you need every edge you can get. The workshop lasts a total of five days, beginning on Tuesday night with a meet-up dinner and introductory talk, and lasting until Sunday, culminating with that afternoon's private consultations. Writers gather as a group each day to present their novel-in-progress for in-depth analysis, pitch play, and ongoing discussion with professionals while also engaging in advanced assignments designed to produce publishable commercial prose. This Algonkian workshop is suitable for novel-length fiction of any kind that requires a marketable premise, strong characters, as well as engaging narrative and plot. Therefore it accommodates a variety of genres including mystery/thriller or detective, women's fiction, suspense, adult and YA fantasy and SF, urban fantasy, historical, and paranormal and historical romance, as well as general and upmarket fiction more appropriate for literary presses and select major imprints. Please take note that advice and critique is provided only by professionals present at the workshop, and this is one aspect that differs the Algonkian approach from other writer workshops. We don't feel our writers are best served by getting "advice" from writers-in-progress, advice that might well prove counterproductive. Also, we do not waste time with handouts or lectures. We provide the "handouts" and appropriate "lecture" material ahead of time so that workshop time can be totally devoted to workshopping the novel and making it as competitive as possible. The emphasis during the first two days of the novel workshop is on structure and premise issues (plot development, market positioning, story concept, character arc, etc. ), and for the next two, on narrative enhancement (voice and style, cinematic composition, interior monologue, dialogue, etc.). See our workshop syllabus, as well as our article list, to get an idea of what we're talking about. The final day is set aside for one-on-one consultations, readings of each writer's ms, as needed, and the creation of a publication plan for each writer. Literary agent and author Andrea Hurst will be present on Thursday to hear individual pitches from each writer and engage in discussion on matters of novel and creative writing. Author Melanie Bacon will lead the workshop with unique and challenging narrative exercises on Saturday, exercises that will have significant impact on the quality of each writer's ms and style. Michael Neff will hear pitches and engage in novel analysis and market-position talks with all writers beginning on Wednesday and lasting through the duration of the workshop; and our distinguished visiting author, Anjali Banerjee, will be available to speak with students on Thursday on matters of creative writing and the writing life in general. Andrea Hurst has a client list that includes both emerging new voices and New York Times best-selling authors. As an agent, she represents high profile adult nonfiction in the areas of memoir, among others, and she is actively looking for well-crafted commercial fiction of many kinds, with an emphasis in women's commercial fiction. In addition to working in the publishing field for over 25 years, Andrea is also a published author in fiction, "The Guestbook" and "Always With You," and nonfiction for several books including "A Lazy Dog's Guide to Enlightenment." She is a skilled developmental editor, an instructor for the MFA program at the Northwest Institute of Literary Arts, and also a webinar presenter for Writers Digest. Anjali Banerjee was born in India, raised in Canada and California and received degrees from the University of California, Berkeley. The Philadelphia Inquirer called her young adult novel, "Maya Running" (Random House) "beautiful and complex." 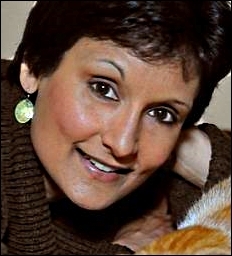 The Seattle Times praised Anjali's novel for adults, "Imaginary Men" (Pocket Books) as "a romantic comedy equal to "Bend it Like Beckham." 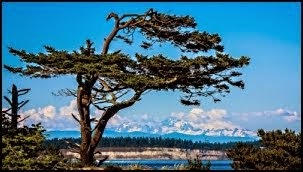 An alumnus of Hedgebrook, an esteemed retreat for women writers on Whidbey Island, Anjali has been a speaker at many institutions, schools, libraries and writers' conferences, and she has led workshops for Field's End and the Whidbey Island Writers' Association MFA program. 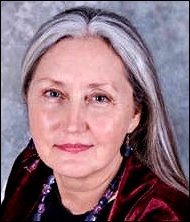 Melanie Bacon's forthcoming novel to be published in 2014, "The Jewish Mother: A Chronicle of Mary of Ephesus" (Del Sol Press). Facing danger after the death of Jesus, Mary flees to the great city of Ephesus where she must confront rising belief in her son's divinity, growing hostility from Jewish leaders, and the presence of St. Paul who rejects her close friendship with Artelia, high priestess of Artemis, the Great Goddess of Ephesus. Melanie was a writer for National Lampoon, one of the winners of the Writer's Digest 2009 fiction prize, and her work has also appeared in literary journals including Del Sol Review and The Potomac Journal of Poetry and Politics. Her prior novels include "The Deadest Gun in The West" (Amazon quarter finalist) and "Welcome Home, Major Bearclaw." Michael Neff is the primary workshop leader at PT, as well as the "Bay Area Associate" for AEI Film Productions in Los Angeles. As an agent for AEI, he is actively searching for high concept projects in almost any genre that can be transformed into films or books. He is the creator and director of Algonkian Writer Conferences and the New York Pitch Conference. 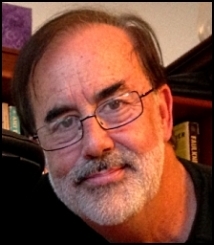 His work has appeared in many prominent publications, including North American Review, Quarterly West, Pittsburgh Quarterly, The Literary Review, American Way Magazine, and Conjunctions. He has served as judge for various writing contests, including the Writer's Digest Finalist Prize for best short fiction, and his own novel, "Year of The Rhinoceros" (Red Hen Press), chronicles the corporate conquest of Washington during the Reagan years. 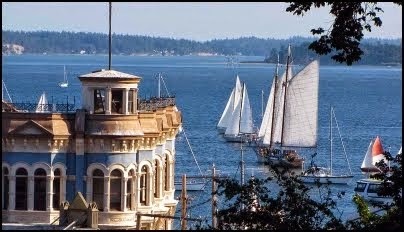 Port Townsend is accessible from Sea-Tac airport and Seattle via public transport and ferry. 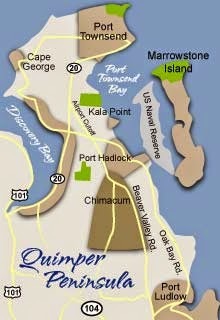 Please consult this Port Townsend city guide for detailed information on this matter. 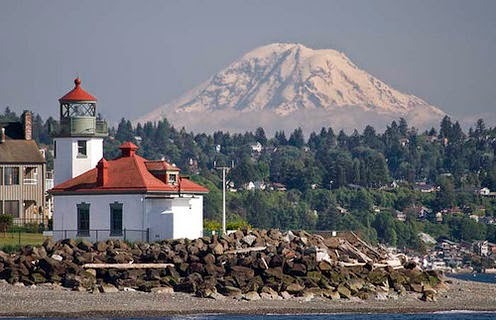 A rail line runs from Sea-Tac to Seattle, and a short walk to the ferry building. If you have any problems with these directions, don't hesitate to call us at 1-800-250-8290. 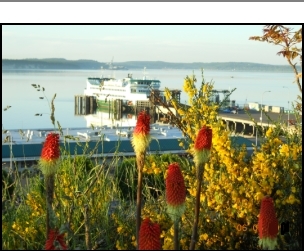 If necessary, we can arrange to pick you up from the ferry in Port Townsend. The workshop is taking place at the Swan Hotel. 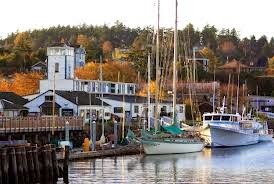 We recommend the Swan for its great rooms and quaint cottages, however, there are several lodging choices in Port Townsend, and most if not all of them within easy walking distance of downtown and the Swan Hotel as well. 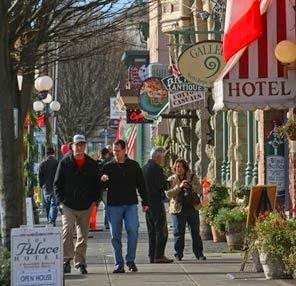 By clicking the "lodging choices" link above you'll also see a map of how they all lay out in town. The novel workshop application can be found here. Please complete all the fields. Expect up to five working days for a response. We receive lots of applications and a review is necessary. Though this workshop is for writers in need, we wish to make certain the attitude is serious, and writer's skills reasonably suited to the learning environment we nurture. Registration for the workshop is below. Please register by using our secure credit card option (if cancellation is necessary for whatever reason, registration will be returned in full up to four weeks prior to the workshop date. After four weeks, payments may be credited towards a future workshop). 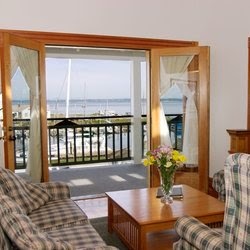 Lodging, transportation, and meals are not included (only breakfast). The total fee for our novel workshop is $799.00. It includes tuition, a workshop breakfast with fruit, coffee, and pastries, the Algonkian Study Guide, professional manuscript consultation, agent sessions, and access to the pre-event assignment forum online. Please call our home office at 1-800-250-8290 if you have any questions. REFUND of registration amount if refund requested more than 30 days before the event. After 30 days, Algonkian will consider a credit of amount towards a future event or workshop of the writer's choice.